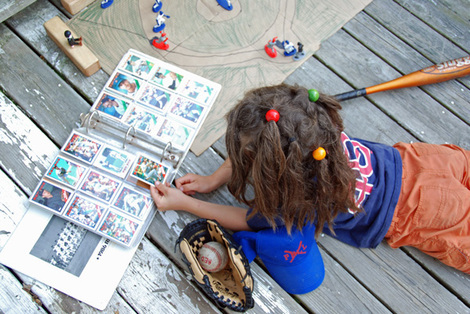 the discovery of Mama's (yes, Mama's) pile of baseball cards from the late 80's. Hello, Wade Boggs. a father-son shared loved of baseball as cliche and beautiful as it could possibly be. There will be many little details of this summer that I forget with time, but there's no way I can forget the way that my little guys passion has woven baseball right on into our everyday lives. A summer of baseball, indeed.